I know you all have been waiting patiently for the next book in my Extreme Medical Services series. Here’s an excerpt from the next book I’m busy writing right now. Jo, the teen witch introduced in book 4 gets herself in a little trouble at the Mall. Jo glanced back over her shoulder at the pile of clothes containing her pistol in its shoulder holster. She’d never get to it before the blade finished off Marian. She thrust her hand in front of her instead and turned her head so that she was looking right down her arm, aiming at the demon’s head. What she had planned was not something she wanted to miss. The demon met her eyes, then focused on the spinning ball of white hot plasma Jo held in her palm. She wanted it to make up its mind. Holding sunfire like this hurt like hell. She didn’t want to release the spell so close to her friend, but she might have no other choice. “You don’t. Five seconds and you won’t care.” Jo began counting down from five, wanting to scream in pain as the ball of the sun’s plasma started to cook the flesh of her palm. The creature in front of her hesitated and then she saw the decision in its eyes as the arm holding the blade tensed and started to draw the hook towards Marian’s throat. With a scream of rage, Jo released the spell and the ball of fire shot forward, creating a miniature explosion that encompassed the demons head. Lifeless fingers dropped the blade and the corpse with the smoking head and shoulders collapsed to the ground as if a marionette cut the strings to a puppet. Hope you enjoyed it. I’ll try and release some more bits and pieces soon. In the meantime, tell a friend about the books and if you haven’t picked up book 4 yet, the links are listed below. The Paramedic’s Hunter (Extreme Medical Services, book 4) is out while you’re waiting. Check it out and all the books in the series wherever your buy eBooks. Demons, Mortal Enemies, and a Shared Quest! Paranormal paramedic Dean Flynn doesn’t know he’s being hunted by demons. Demon hunter Jaz Errington hunts the creatures he heals? In this case opposites do not attract. Join the hunt with “The Paramedic’s Hunter,” book 4 in the Extreme Medical Services series. Follow the continuing tale of paranormal paramedic Dean Flynn and series newcomer Jaz Errington as they take on the forces of evil in Elk City. 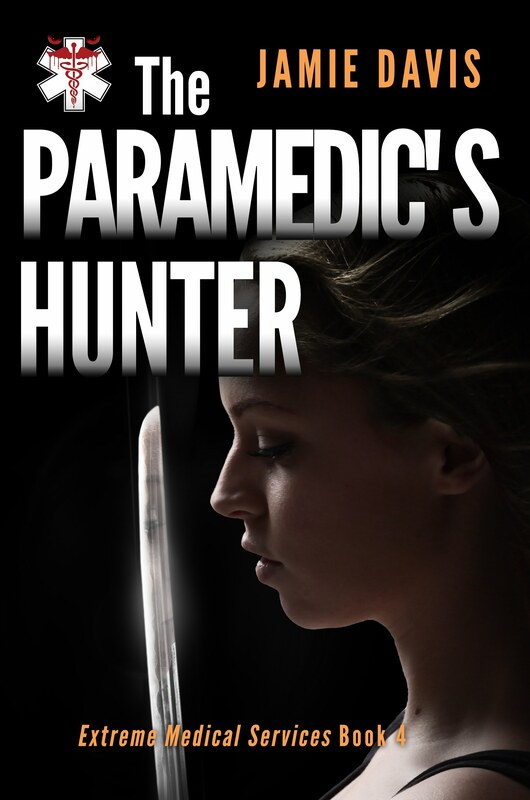 Click and buy “The Paramedic’s Hunter” now!